A Limburg only special, lucky you if you were at a friendly neighbourhood bar when it was still available by the pour. Nose: Very impressive nose, who would have thought to find this much fruit in Glen Keith. Baskets of fruit, ripe pineapple, red berries, mandarins. Not a bursting fruit though but deep and layered into these many oils and leather and hot cream so yes the oak is unavoidable but remarkably polite considered the great age. Find also strands of dried sage maybe? Great composition – a lush depth but well-ordered with perfect balance. Palate: The oak is quite evident. Old ‘dull’ peppercorns and wrinkled ginger knobs give a moderate hot sting. Also quite flinty but now here the fruit really start to get loud. Just popping with fizzy juice. Lots of oils and ‘weight’ behind it too. Then the varnish and leather, old panels, burnt caramel and carbon notes start to assert themselves. Feels very much like an Irish Single Malt with more weight and more wood. Finish: Not that long, residual juice is evident but so are the oaky notes, though it feels like it’s getting tired now. Nose: Like the Glen Keith the maturity is evident, even if it leans towards a leaner profile. Still it’s round and multifaceted. This one has deeper sweet oils and thin waxes – clean and clear with just a hint of snubbed candle. Also so quite a heap of minerals as well – flints, sand and granite. It does allude (somewhat) to Clynelish right now. Some clay, some bark and leaf clippings. A little on the simple side. Palate: Turns out to be the light and lean sort that registers ‘higher’ – as opposed to heavy. Hot minerals lots of hot sand and hot glass. Also hot waxes and thin sweet oils plus honey. A dose of tart green fruit now. It’s somewhat astringent. Bark and more fresh clippings from the garden. Quite effervescent. Finish: Somewhat shorter than expected, and it does fizzle out somewhat, tart and astringent, some clay maybe. Minerals. 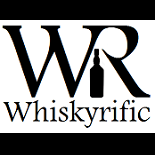 This entry was posted on June 26, 2018 by Whiskyrific in Glen Elgin, Glen Keith and tagged Glen Elgin, Glen Keith.